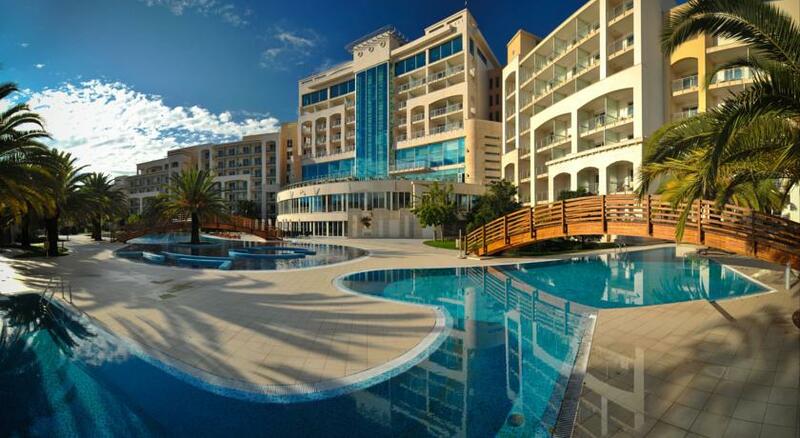 Whenever I am traveling to Budva I always choose this Hotel. 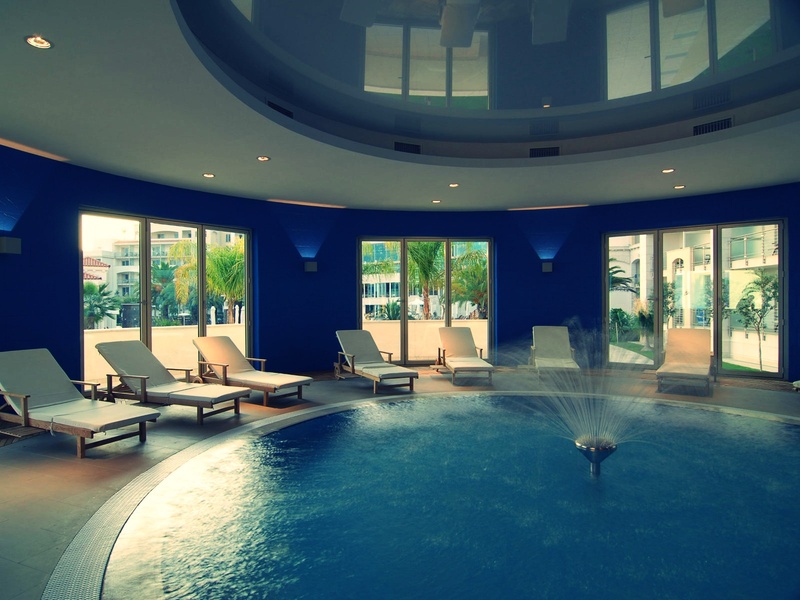 Let me introduce you Splendid Conference & SPA. I’m not sure why, or maybe I know why, but I won’t tell anyone, I always choose this place to be my home during the summer season in Budva. Jedes mal wenn ich mich entscheide noch einen Sommer in Budva zu verbringen, weiß ich genau in welchem Hotel ich einchecken werde. Das Splendid Conference & SPA in (Becici) Budva ist meine Wahl seit Jahren. Budva is a Montenegrin town on the Adriatic Sea. It has around 14,000 inhabitants, and it is the center of Budva Municipality. The coastal area around Budva, called the Budva riviera, is the center of Montenegrin tourism, known for its well preserved medieval walled city, sandy beaches and diverse nightlife. Budva is 2,500 years old, Which makes it one of the oldest settlements on the Adriatic coast. From Budva you can reach per speedboats or yachts within couple of minutes, beautiful hidden places on the Adriatic. From the first moment I stayed at the Splendid hotel I felt in love. It was a must have going to Budva during summer with my friends and it changed to ‚going to Splendid during summer‘ . The rooms are gorgeous, big and with big windows. I love to look out the window when I wake up, to drink coffee (coffee maker in the room) on the balcony before going to breakfast etc. . During vacation I turn into a really slow person haha And when I say slow hun, I really mean slow. When it comes to food, you literally have everything. I don’t even know where to start? The main hotel restaurant La Bussola offers you breakfast – lunch – dinner buffet. The food is excellent. I am a veggie eater and they offer a lot of different vegetables, grilled, boiled or raw and large selection of yummy salads, vegetarian dishes etc. . As well as different sort of meat and fish. Vegetarian dishes. Large selection of desserts and colourful fruits. Than you have the Bracera Pool Bar restaurant which I also love. My favourite dishes are the Montenegro Sandwich, Seafood Salad or Octopus Salad. I am eating same three things there for years haha You can eat by the pool on your sun chair, if it’s too hot outside you can go in and take your snack or you sit in front of the Bracera. My favourite restaurant and at the same time my favourite Oriental restaurant on the Balkan is the Promenada. It’s this gorgeous restaurant, beautiful from the inside and out. Especially inside with the beautiful harmony of wood, baby blue and white color and some original Japanese decorations. In this restaurant I learned to love and enjoy food while eating. I used to eat until I feel I am ready to explode. If you are visiting this place or if you are visiting only Budva, YOU HAVE TO go to Promenada restaurant and to try the excellent food (order Tempura Rolls, I’ve never ate better ones in the whole world and believe me, I’ve been to a lot of Japanese restaurants all over..). When you are in Budva there is no way you will have a boring vacation. If you are not willing to go out to the city which is about 3km (5min taxi) away from the hotel, that’s not a problem. In Splendid you have different night programs. They usually start after dinner at 9pm. I loved the traditional dance group and spanish reggaeton. Budva ist ein montenegrinischen Stadt an der Adria Küste. Es hat rund 14.000 Einwohner und ist das Zentrum der Budva Gemeinde. Das Küstengebiet Budva, ist das Zentrum des montenegrinischen Tourismus, welcher für seine gut erhaltene mittelalterliche Stadtmauer, Sandstrände und abwechslungsreiches Nachtleben bekannt ist. Budva ist 2500 Jahre alt, was es zu einem der ältesten Siedlungen an der Adria macht. Wenn es ums Essen geht, haben Sie wirklich alles was Ihr Herz so begehrt. Ich weiß nicht einmal, wo ich anfangen soll? Das Hauptrestaurant des Hotels La Bussola bietet Frühstück – Mittagessen – Abendessen in Buffetform. Das Essen ist ausgezeichnet. Ich bin ein 98% Gemüse Esser und deswegen war und bin ich es immer wieder, sehr erfreut, das sie so viele verschiedenen Gemüsesorten bieten, gegrillt, gekocht oder roh, die Auswahl ist groß. Bei den Salaten wird auch nicht gespart und die Auswahl die groß ist ändert sich auch oft. große Außerdem gibt es vegetarische&vegane Gerichten, sowie verschiedene Arten von Fleisch und Fisch. Und jetzt das wichtigste für alle süßen Mäuse, die Desserts sind traumhaft. Ich als kein dessert Esser, war ziemlich oft in dieser Abteilung und habe mich verführen lassen. Das Bracera Pool Bar Restaurant, welches ich auch sehr gut finde befindet sich, ja, wie der Name schon sagt haha am Pool. Meine Lieblings-Gerichte sind der Montenegro Sandwich, Meeresfrüchtesalat und Tintenfisch Salad. Ich esse diese drei Speisen seit Jahren haha .​ ​Sie können Ihr essen am Pool auf Ihrem Liegestuhl, wenn es zu heiß draußen ist, drinnen im Bracera genießen oder vor dem Pool. Sie haben ein Urlaub in Budva geplant? Keine Sorge langweilig wird Ihnen nicht. Neben dem turbulenten und unvergesslichen Abenden den verschiedene Clubs bieten, bietet das Hotel Splendid jeden Abend verschiedene Programme an. Meistens nach dem Abendessen gegen 21Uhr.